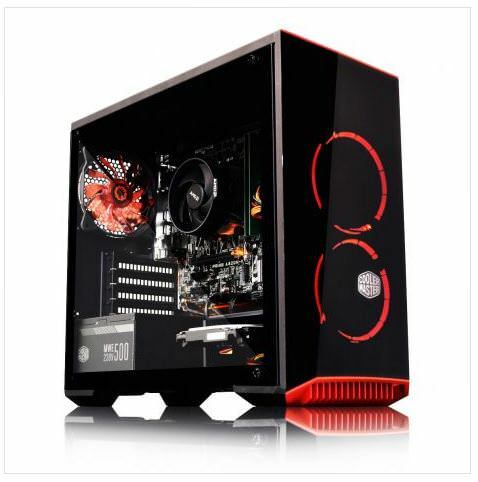 Home/News/The Perfect PC for PUGB and Fortnite? If "Gaming PC for Fortnite" is on your Christmas list this year - read on! There's no doubt that 2018 was the year of the Battle Royale. First brought to mass appeal by Playerunknowns Battlegrounds and then given an entirely new lease of life by Fortnite with their now infamous Battle Royale mode. And these two games look set to continue their success into 2019. So, for those looking for a gaming PC or PC package for Christmas, capable of running these games, here's our quick and handy guide. First of all, PUBG is a more graphics-intensive game than it's cartoony brother-in-law Fortnite, so that does translate into more expensive components. For example, Fortnite can actually run quite well on an AMD Ryzen system without a graphics card. The lack of Graphics card means a potentially expensive component is removed from your budget, therefore saving a few quid on a component that can always be added at a later date. 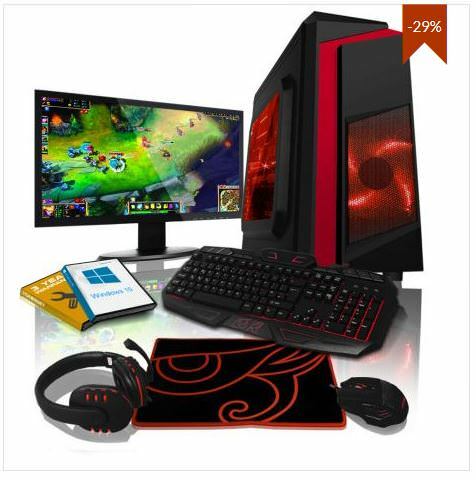 So if its simply a PC for Fortnite that's required this Christmas, look no further than the above PC and PC package! the game-play, graphics and content of PUBG in general portrays a more realistic world than Fotnite and therefore requires a bit more graphics horsepower. Even NVIDIA's budget powerhouse the GTX 1050 Ti can struggle due to the games poor optimisation. All of which has meant that a PC with a mid range processor and graphics card were required to run PUBG at a level deemed playable by most. AMD have recently released two new CPU's which, when coupled with one of their low to mid end graphics cards, namely the RX 570, provide a fantastic budget solution, providing access to games such as PUBG at a much lower price point than previous. The CPU's in question are the AMD Ryzen 3 2300X and the Ryzen 5 2500X, and are both quad core CPU's capable of running at speeds up to 4GHz. 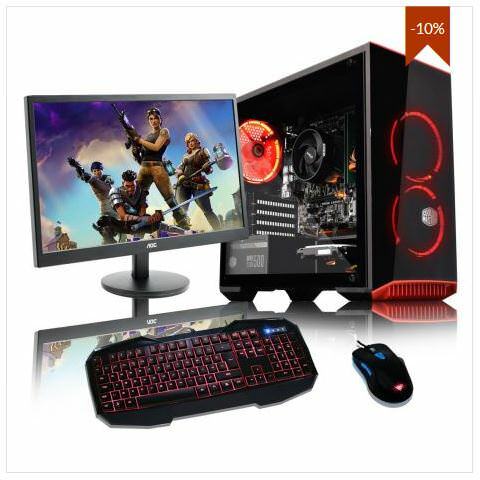 These PC's and PC package meet the minimum specification requirements for both Fortnite and PUBG and run each game to a great standard. In Fortnite on medium settings you should see frame-rates well in excess of 75FPS and in PUBG on low / medium setting, frames will be consistent round 60FPS at any time. Basically, if these two games are destined for your household this Christmas, and you don't have unlimited amounts of cash, or simply don't want to break the bank, then these PC's are exactly what you should go for! 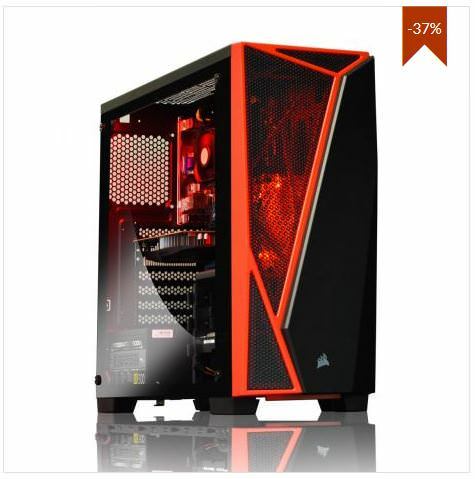 And best of all - we have discounted the prices on all of these PC's in time for Black Friday and Christmas! 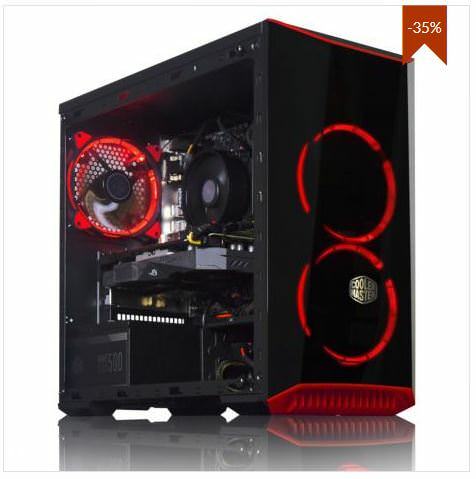 Alternatively, if you want to push the boat out and spend a bit more on an even more powerful PC or PC package, take a look at the systems HERE!